Dukgeun is a Senior Associate in the Litigation team of Al Tamimi & Company based in Dubai and core member of the firm’s Korea Group. While he has over 11 years’ extensive court experience in a wide range of industries and types of disputes, his practice focuses on construction claims and complex construction disputes and administrative law matters. Dukgeun also has advised on a number of major stakeholders on various construction contracts, O&M and concession agreements in respect of a variety of infrastructure building and development projects. 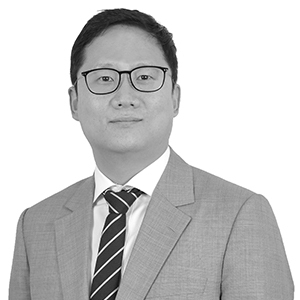 Dukgeun also has broad experience of acting for government authorities, developers and contractors on complex PPP Projects in Korea and is an author of several articles covering risk management and dispute resolution in respect of PPP Projects. He was recently appointed as an external panel of the investment review committee at Korea Overseas Infrastructure and Urban Development Corporation (KIND). 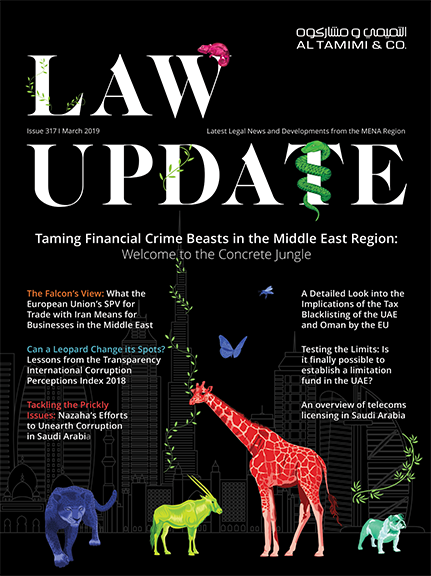 Prior to joining Al Tamimi, he was a Partner at a leading Korean law firm, where he represented clients in domestic court proceedings in Korea and had been seconded to the London office of major UK firm assisting with various construction dispute matters. He is a member of the Society of Construction Law in the UK and the Chartered Institute of Arbitrators (MCIArb). Advising a major Korean contractor in LCIA arbitration in relation to the construction dispute in Kuwait. Advising a major Korean contractor in Korean Commercial Arbitration Board (KCAB) arbitration in relation to the dispute with an owner of the Project. Advising a Korean contractor in respect of a multi-billion dollar claim regarding an Urban Development Project in Seoul, Korea. Representing a major Korean contractor in multi-million dollar Korean court proceedings involving an adjustment for changes in cost. Representing an international investor in its dispute before the Korean Courts with a Korean local government over the PPP project.